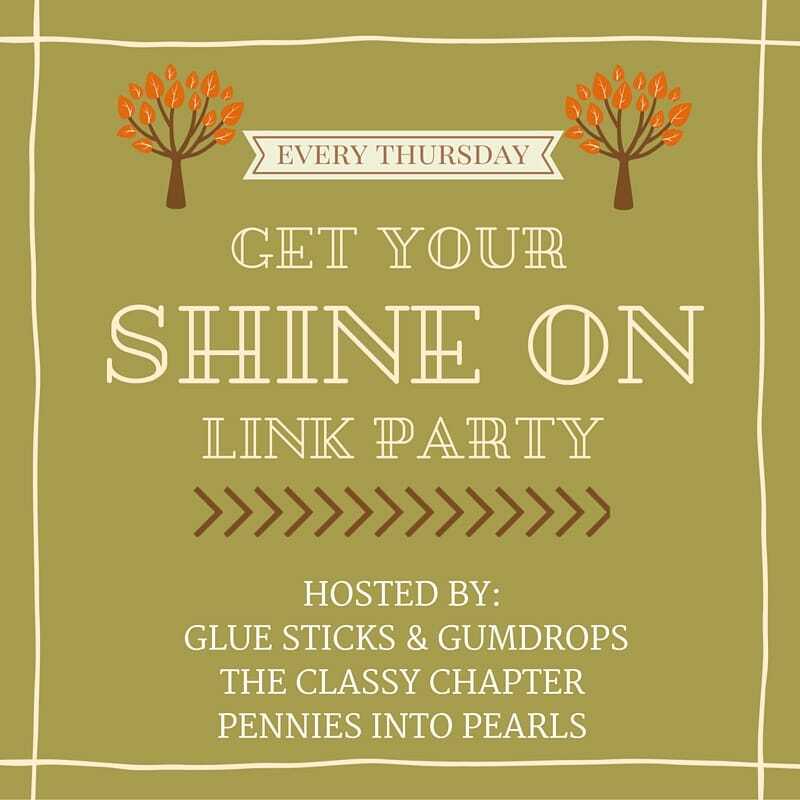 Get Your Shine On Link Party – Did Someone Say Pumpkin? If you love pumpkin then you are going to love the features Donella picked out for this weeks party! Welcome back to our 32nd week of the Get Your Shine On party! This week, Donella from Glue Sticks and Gumdrops has chosen her favorite links for some pumpkin-themed fall fun. Before we get to the features, make sure you’re following our social media accounts where we share many of your posts each week! Here are Donella’s absolute favorite posts from last week! I just love a good donut recipe, and this pumpkin version is a must-try for fall! No time for baking? No problem! These pumpkin cheesecakes (in mason jars!) look divine. After your tummies are full of pumpkin treats, head outside with the kiddos for a fun pumpkin science experiment! You are SO welcome Sammi! Thank YOU for sharing it with us! I think your recipe is going to be a huge win in my house!